We demand justice for the comrades murdered, disappeared, imprisoned and tortured during the 2006 conflict and demand punishment for the guilty parties. Once again, we the men, women, children and elders of the Committee for the Defense of Indigenous Rights (CODEDI), will set out from our communities of Santiago Xanica, San Felipe Lachillo, Santa María Coixtepec, San Antonio Ozolotepec, Buena Vista Loxicha, Tierra Blanca Loxicha, and Las Cuevas Santo Domingo, this February 20, 2012. We will engage in the following activities: a political rally outside the criminal court at Santa María Huatulco at 9:00 am on February 20; a rally outside the criminal court and regional prison at San Pedro Pochutla at 12:00 noon the same day; and a rally in the center of the Miahuatlan District at 8:00 pm. On the morning of February 21, we will join several of our sister organizations in a march from the Monument to the Mother to the Zócalo of the city of Oaxaca, where we will set up a camp for an indefinite period of time. The task that the International Brigade set for itself has been to listen, understand, relate, and make public what is happening in the community of Santiago Xanica. The European Collectives Nodo Solidale (Italia), Zapatista “Marisol” Collective of Lugano (Suiza), and Nomads of XM24 (Italia), which make up the Internationalist Platform for Resistance and Self-Initiative Weaving Autonomies (PIRATA) organized a brigade for the observation of the violation of the rights of native peoples in the municipality of Santiago Xanica, Oaxaca, México, in which activists from France and the Spanish State also participated. The brigade went around the municipality and outlying areas, taking audio and video testimonies of parties affected by violations from Monday March 14 to Monday March 21, 2011. The task that the International Brigade set for itself has been to listen, understand, relate, and make public what is happening in the community of Santiago Xanica. 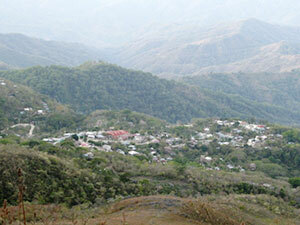 In recent months the townspeople of Xanica have been denouncing outrageous violations and abuses by PRI party members and power groups against the local Committee in Defense of Indigenous Rights (CODEDI Xanica), Adherent to the Sixth Declaration of the Lacandon Jungle, and against the general population. Please send to all contacts. 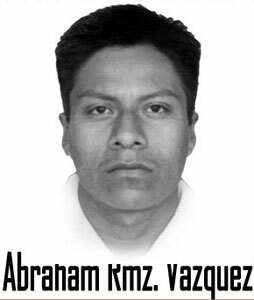 We are sending you a letter that demands the freedom of Abraham Ramirez Vazquez, a prisoner from Santiago Xanica and signatory of the Sixth Declaration of the Lacandon Jungle, who is now in prison in Pochutla, Oaxaca. We went to visit Abraham last week. In view of the fact that a representative of the Gabino Cue government met with OIDHO last Tuesday and agreed to form a commission to consider Abraham’s freedom, promising to do everything possible to this end, Abraham asked us to put as much pressure as possible on the Gabino Cue government, the State Attorney General’s Office and the Elections Tribunal. The political prisoners of Santiago Xanica: What do they want? Freedom! 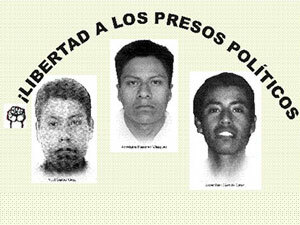 Abraham Ramírez Vásquez, Juventino García Cruz and Noel García Cruz, the first political prisoners of the Ulises Ruiz regime in Oaxaca, are from the Zapotec town of Santiago Xanica. The three members of the Committee for the Defense of Indigenous Rights (CODEDI) and the Popular Anti-neoliberal Oaxacan Magonista Coordinating Body (COMPA) were arrested on January 15, 2005, after hundreds of preventive and judicial police opened a crossfire on a group of 80 men, women, children and old people who were unloading bricks from a truck as part of a community work project. Abraham, Noel and Juventino were seriously wounded by gunshots. The people responded to the attack with sticks and stones, but more police came in, dragged the three wounded people out of the clinic, and took them to a house to be tortured by the police. After a few days, they were taken to the Ixcotel prison and then to the prison at Pochutla. Despite their serious wounds, they received no medical treatment until 36 hours after being admitted to the Pochutla hospital.